How To Make Your Money Last (2016) helps you deal with a burning question when you’ve ended your career and started retirement: What now? 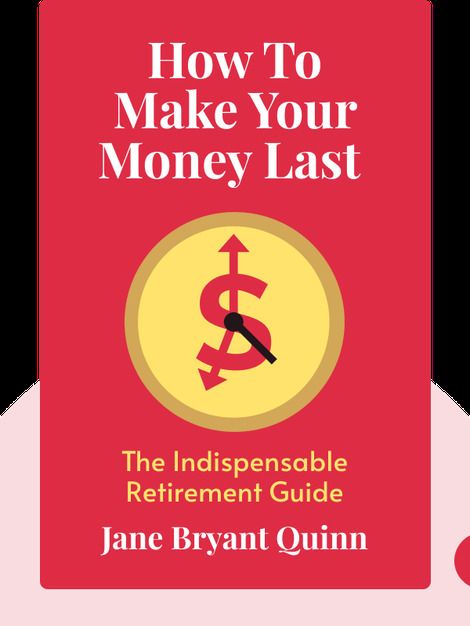 These blinks show you how to manage your retirement funds to make sure you get the most out of this new stage of life. 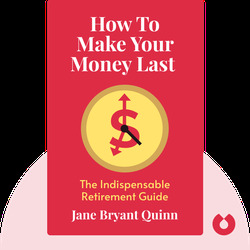 Jane Bryant Quinn is a personal finance expert and author of several bestselling books, including Making the Most of Your Money NOW, Smart and Simple Financial Strategies for Busy People and Everyone's Money Book.